While the wind energy projects that sprang up in Lincoln County over the past couple of years added some money and jobs to the local economy, the noise from their spinning blades and turbines is grating on the nerves of some of nearby residents. At their Tuesday, Jan. 15 meeting, the Lincoln County Commissioners met with Gary Withington, who owns a farm five miles north of Genoa on County Road 109. He complained about the noise being produced by one of the wind turbines built last year about a quarter mile from his house. 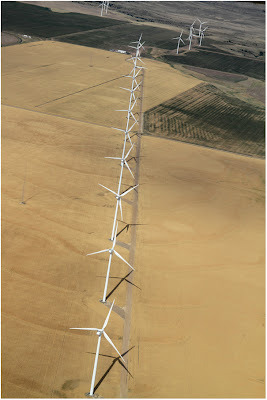 Withington compared the noise of the wind turbine to having the diesel engine of a semi-truck idling continuously in the front yard of his house, or the “rumble of a jet starting to take off at the far-end of a runway.” Added to that noise is the “swooshing” of the turbine’s massive blades as they cut through the air. The wind turbine is owned by NextEra Energy Resources which completed the construction of its 250-tower Limon I and II Wind Energy Centers last October. 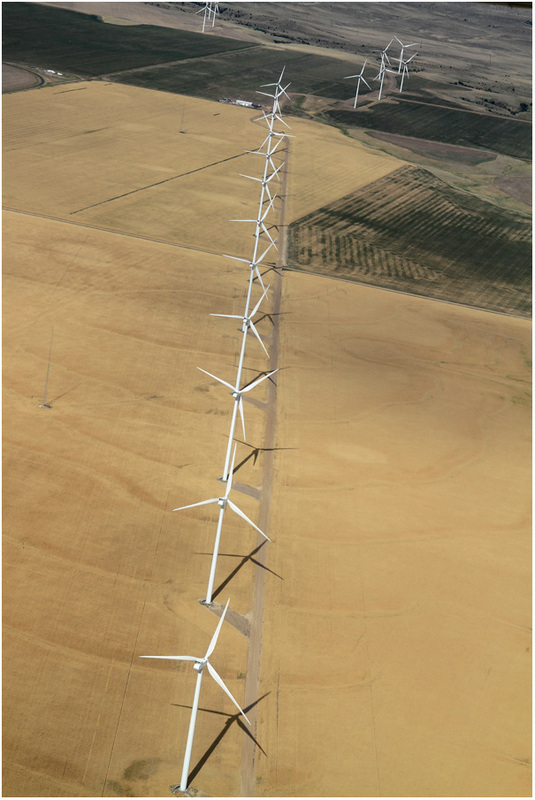 At full capacity, the wind energy farm produces 400 megawatts of electrical power. Withington said he had been monitoring the noise levels produced by the wind turbine nearest his house with a hand-held decibel meter. Depending upon the wind speed and direction, he claimed on “quiet days” it was producing noise in the 40-decibel range, but other days it rose into the 80s and 90s. While saying he was “all for green energy,” Withington said it was becoming increasingly difficult to live with the noise. He claimed some other residents living near the wind towers are also experiencing similar problems with the noise levels. To find a solution, Withington said he had first attempted to contact NextEra executives at their Juno Beach, Fla. headquarters, but had not gotten a response. He asked the commissioners for help with getting the noise levels reduced to an acceptable level. In response, County Attorney Stan Kimble said Lincoln County does already have a 20-year-old code that limits noise levels for businesses near residences to not exceed 60 decibels. He said the county would like to enforce that code. However, Kimble said the problem is that a Colorado state statute, which was last amended in 2004, may have superseded the county code. It does not prohibit higher noise levels for industrial activities, which includes wind energy farms. Kimble suggested that a nuisance complaint could be brought, but it would require long-term monitoring of the decibel levels by a professional company. He also said the county could also require NextEra to comply with its maximum 60-decibel code limit if that company seeks its approval for the proposed third phase of its Limon Wind Energy Centers. The commissioners said they would contact NextEra officials about the current problem, as well as look into contracting with a company to monitor noise levels near the wind energy farms. They also talked about contacting their Colorado State Legislature representatives about getting this state statute amended.